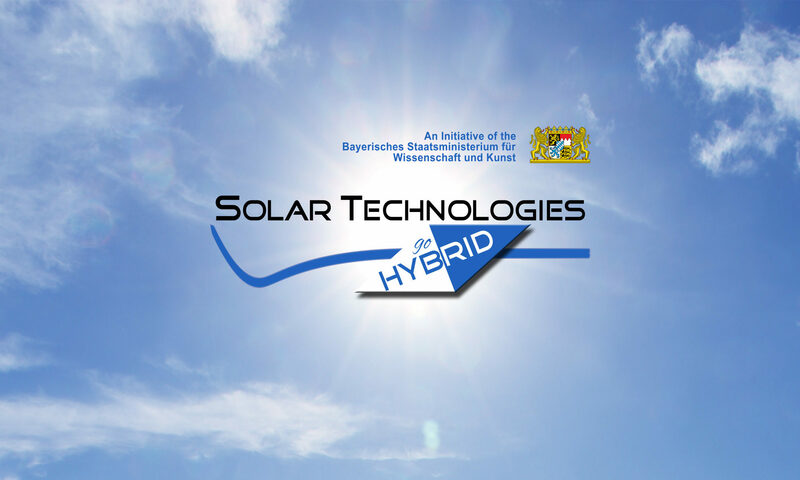 Prof. Dr. Anthony Harriman, Molecular Photonics Laboratory, Newcastle University (UK), visited the TU München, the FAU Erlangen-Nürnberg, the University of Würzburg and the University of Bayreuth under Soltech research program and gave a talk on “Artificial Light-Harvesting antennae for solar fuel generation”. Abstract : Nature utilizes sunlight to drive many critical catalytic processes, most notable photosynthesis and DNA repair. There are few instances, if indeed any, whereby the active catalyst is illuminated directly. Instead, the natural process has evolved with an ancillary light-harvesting unit whose function is to capture sunlight and direct the energy to the catalyst in the form of a chain of temporally isolated excitons. The reasoning behind this intricate strategy stems from the realization that the catalyst has been optimized in terms of its ability to drive the relevant chemical reaction with the minimum overpotential and it is improbable that the same materials will possess good optical properties. By separating photon capture from multi-electron catalysis, nature can perfect both units through evolution and construct working prototypes via their mutual coupling. We describe here our recent progress in the development of intelligent artificial analogues able to sensitize solar cells and drive multi-electron photochemical reactions. Our approach to the design of elaborate light-harvesting antennae involves accretion of suitable building blocks into integrated arrays arranged in a logical manner. By employing a series of chromophores, each capable of collecting a certain fraction of the solar spectrum, it becomes possible to assemble panchromatic giant molecules of the type shown opposite. Here, 21 chromophores are sequenced in the final array, which is able to harvest photons over most of the visible region. Highly efficacious (>99%) intermolecular electronic energy transfer occurs along the molecular gradient so as to conserve photons but degrade the energy. The array fluoresces at a frequency set by the chemical identity of the final acceptor, this being selected to match the excitation energy of the catalytic unit. Many different arrays have been built and subjected to detailed photophysical examination, including determination of the rates and efficiencies of all energy-transfer steps. By judicious choice of reagents, it becomes possible to redirect the energy flow, deal with problems of photon annihilation, protect the array against photo-degradation, regulate the energy flux, and dissipate high-energy excitons without harming the array. Individual arrays can be appended to molecular clusters, such that electronic energy can be transferred between decorated clusters, or assembled into micro-heterogeneous media such as liquid crystals. Several of these artificial photon collectors possess turnover numbers in excess of ten million and function as excellent sensitizers for certain types of solar cell. For example, the inherent photo-degradation of amorphous silicon solar cells when illuminated with blue light, caused by slow dissipation of charge, can be by-passed by equipping the cell with a light-harvester capable of delivering far-red light. Novel ways to couple the light-harvester to the catalytic unit are under consideration. Other applications, most notably in agriculture, will be addressed. We thank EPSRC, CNRS, Newcastle University and ECPM-Strasbourg for financial support of this project.